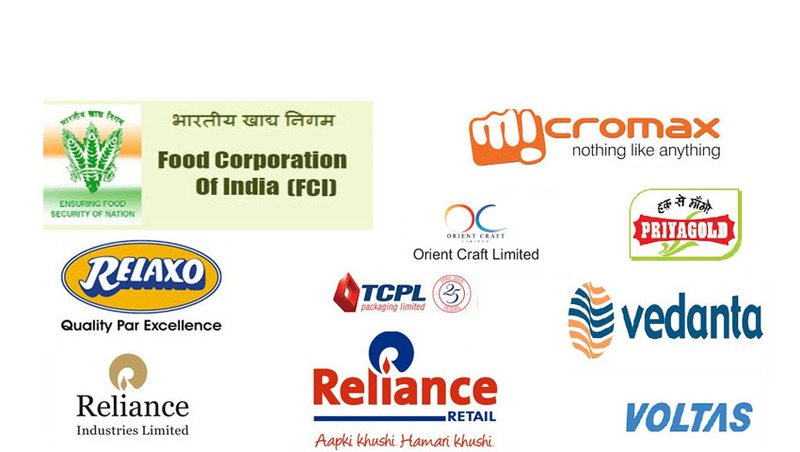 We are a leading Manufacturers & Exporters of Overhead Conveyors such as I Beam Overhead Conveyor, Four Wheel BI Planar Conveyor and Overhead Chain Conveyors from India. We have over 30 years of experience in design & manufacturing customized overhead conveyor systems. Our ISO 9001:2008 systems certified workshop is fully equiped with fabrication equipments and is located in Noida (Delhi NCR). 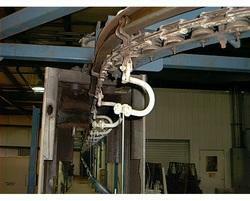 Our wide range of Overhead Chain Conveyors provide conveying solutions for assembly/surface finishing/transfer/heat treatment and other related applications in manufacturing units. Our I Beam overhead conveyors are well suited for conveying heavy loads. High quality rivetless chain (X - 678 & X - 458) made from high strength alloy steel, precision forged and finished. Flexible conveying paths with any number of horizontal/vertical bends. Low cost conveying systems for longer conveying paths as opposed to floor conveyors. 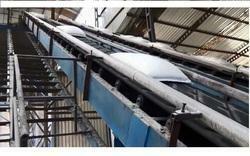 Conveyor can be supported from ground, wall, ceiling as per site conditions. Our Four Wheel BI Planar Conveyor are well suited for conveying light & medium loads. Fully guided & heavy duty 4 wheel bi planar chain. For transfer conveying and process conveying of light & medium loads over larger distances. 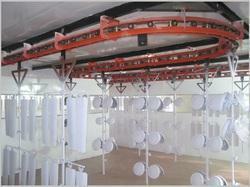 We manufacture customized bag handling systems which consist of Overhead Bags Handling System. These equipments are customized to the needs of the application and can form continuous overhead chain for conveying bags from filling stations to loading dispatch stations or to storage godowns.